i-nexus' My World dashboard is your ticket to staying on top of your business performance. How and why? i-nexus Product Manager, Chris Sherwood, walks you through below. 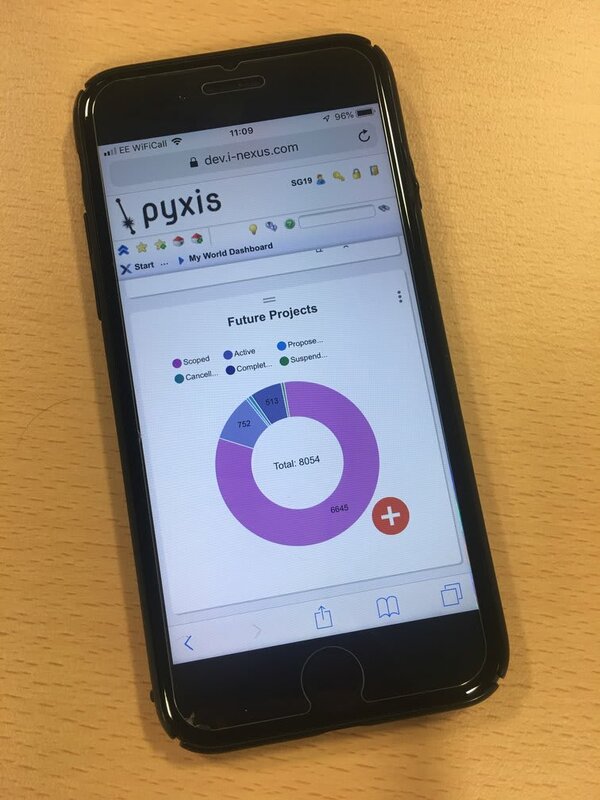 i-nexus strategy execution software collects and displays information for large organisations in various categorized pages, such as My Objectives, My Task Approvals and My Projects. The My World Dashboard has been designed to combine visual summaries and alerts to give an overview of key items that matter to users. There are panels that are focused on the individual user and also panels that summarise the whole organisation. The examples above on the left shows the traffic light status for the metrics that user is responsible and the one on the right, the number of projects across the organisation by material. Any filtered view in i-nexus can quickly be turned into a graph on a panel in MY World Dashboard. This gives great power to the interface as it can be customised by the user to show the specific information that they are most interested in. 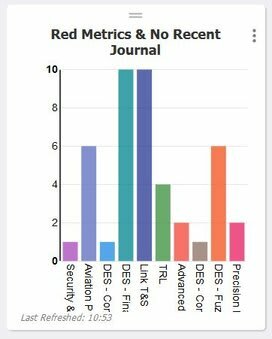 This panel for example has been created from the All Metrics page that has been filtered to only show the Metrics that are Red and have not had a Journal entry in the last 30 days. The data has then been split by Business Unit to show where attention needs to be focused. Any panel that has been created from a custom view can be shared across the organisation, so that all staff can benefit from it. Graphs can also be built that show how performance is changing over time. These are useful to show how your daily management metrics behave over time, whether things are getting better or worse. Knowing when something happened gives you unique insight into your process with regard to problem solving. There is also a set of panels that show the user what they need ‘To Do’ in the system. These panels will remind users to complete their required updates and tasks in a timely manner and ensure that the system is kept up to date without the need for constant chasing. The To Do – Metric Updates panel (above), shows the current state of a user’s metrics. This panel shows when their metrics will require updating. Metrics which are not ready to be updated are shown separately to save confusion. There are also panels available that show when tasks and approvals require actioning. In future more To Do panels will be added to include notifying users when their journals and project risks need updating. Another advantage of My World Dashboard is that it works as well on mobile devices, e.g. phones and tablets, as it does on desktops. The screen resizes to make the panels usable, regardless of the width of the screen and the buttons have been made ‘touch’ friendly. 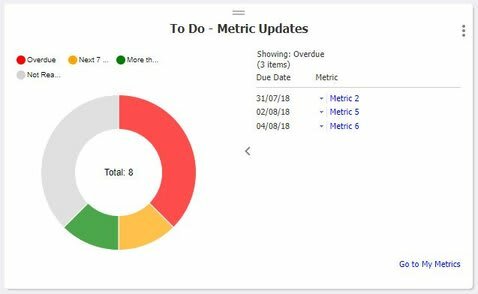 This allows users to see at glance the performance of their organisation and their required tasks, wherever they may be, improving the reach of the data and usability. Hopefully the above examples have shown the variety of data that the My World Dashboard can display. Visit our strategy execution software page and request a demo to see how My World Dashboard can help you. Chris Sherwood is one of i-nexus' Product Managers. His focus is on managing client relationships to deliver high quality product and service solutions, and has received education technology industry accolades for new product innovation. If you'd like to talk more about the i-nexus solution connect with Chris on LinkedIn.